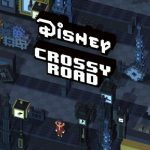 The latest update for Disney Crossy Road was quite a special one, as it came with the characters from the new film Finding Dory, as well as a variety of characters from other Disney films. And, in yet another example of this Android and iOS game’s makers planting an Easter egg, this update also came with playable characters based on the developers, both from Disney, and original Crossy Road maker Hipster Whale. 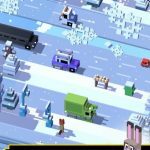 It was quite a big update indeed, and if you still need some reminding about what this game is about, this is a game that combines Crossy Road mechanics with tons and tons of Disney characters, who all play the same way, but offer a great collection dynamic that goes far beyond paying in-game or real-life money to unlock new characters. 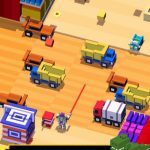 Having given you a brief primer of the game and its latest update, we hope you check out this new Disney Crossy Road strategy guide. Not only will we be showing you how to unlock the secret Finding Dory characters, we’ll also be showing you how to unlock the Disney and Hipster Whale developers. First thing to do would be to unlock Nemo; once you’ve done that, you can play a regular game as him. Find the fish tank that has bubbles inside, swim toward the fish tank, then grab it. You can then end your game by dying, and when you restart the game, Bubbles will be available to select. Unlock Nemo, play as Nemo, and find the fish tank where Bloat is inside. After finding the tank, grab it, and die. Once you restart the game, you’ll be able to find Bloat unlocked and playable. Unlock Nemo just like you did with Bubbles and Bloat, and play as him. Find the fish tank where Deb is inside, grab the tank after swimming up to it, and die in order to end your in-game run. Once you restart, you will be able to play as Deb. Once again, you’ll have to unlock Nemo and choose him as your character. Likewise, you’ll want to find the fish tank where Gil is in, swim up to the tank, grab it, and die. Restart the game and Gil will be unlocked. Yes, it’s pretty much the same as what you did with the four characters above. Unlock Nemo, play as him…you know the rest. You’ll be able to unlock Gurgle after doing all of the above steps, except you have to find the tank with Gurgle. This time around, you’ll have to do something different, and that’s unlocking everyone in the Sydney Crew character set. After you’ve done that, you’ll unlock Jacques and be able to play as him. You can find the Otter in the Finding Dory World after unlocking the Oxygen Lava set which includes Nemo, Bailey, Destiny, Gerald, Pearl, Squirt, and Tad. There’s no need to unlock them in any specific order; just unlock all of them and Otter’s all yours. Play as Pete as your starting character. Using him, hop 100 times in any direction. After your character dies, you will be able to unlock Butch the Bulldog. You’ll first need to have unlocked Candlehead so you can unlock Crumbelina. Score 1,500 points (or more) in a run while playing as Candlehead, die, then restart the game to find Crumbelina available and unlocked. Start out by playing Willie the Giant, and while using him, hop 100 times, again in any direction. After dying, you’ll be able to unlock Golden Harp. In order to unlock Mrs. Nesbitt, a.k.a. Buzz Lightyear’s alter-ego from the first Toy Story movie, you’ll have to unlock Woody from Toy Story. Look closely, as you’ll see Mrs. Nesbitt somewhere in the level, albeit at random locations. After you end your run by killing your character, Mrs. Nesbitt will be unlocked and ready to choose. You would first need to have unlocked Taffeta Muttonfudge so that you could unlock Snowanna. While using Taffeta, score 1,500 points or more in one run. Die, then restart the game, where you’ll see Snowanna available as an unlocked character. In order to unlock the developers, you will first have to go to the settings menu. Start by going to the game’s main screen, tap on the triangle, and tap on the gear button in the subsequent menu. That will bring you to Settings. After that, hit the Credits button. At the bottom tab, you’ll see a Mickey Mouse-like button, which you should then tab to go to the new character select screen. You’ll see all of the developers in there, meaning everyone from Disney and Hipster Whale who had worked on the project. 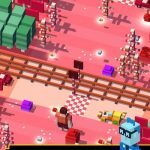 Regardless of which developer you choose, they’ll all be playing in a setting reminiscent of the original Crossy Road, or a setting similar to the Mickey and Friends level. All the developer characters here are based on the people themselves, and you can easily toggle between the Hipster Whale/Mighty Games team and the Disney team by scrolling through the tab on top of your screen. Matt Hall, Andy Sum, Ben Britten, Matt Ditton, Andrei Nadin, Cam Rogers, Scott Beca, Gerard Delaney, Charley Francis, Ryan Murphy, Luis Van Slageren, Ryan Keable, Scott Bartlett, Leonie Yue, Michael Iannello, Tim Best, and Giselle Rosman. Keith Michaelis, Travis Marshall, Winslow Caliwag, Diego Toledo, Binh Nguyen, Jessica Chen, James Holloway, Scott Humphries, Carrie Chen, Janet Day, Steph Chow, Matthew Bergeron, David Yang, Stephen Strobridge, Katrina Tough, Kirsten Erickson, Bryan White, Manny Redruello, Chris Heatherly, Aimee Scribner, Byron Howard, Laurel Long, Melody Xu, Molly Petullo, Nathan Greno, Cecile, Noah, Randy Marshall, Rich Moore, Evan Clidestine, Henry Hopkens, Kristie Blair, Greg Coleman, Alif Khalfan, Danny Wiltons, Glendon Dphrepaulezz, Roy Conli, Siobhan Stuard, Tammy Taw and Luigi Thompson.